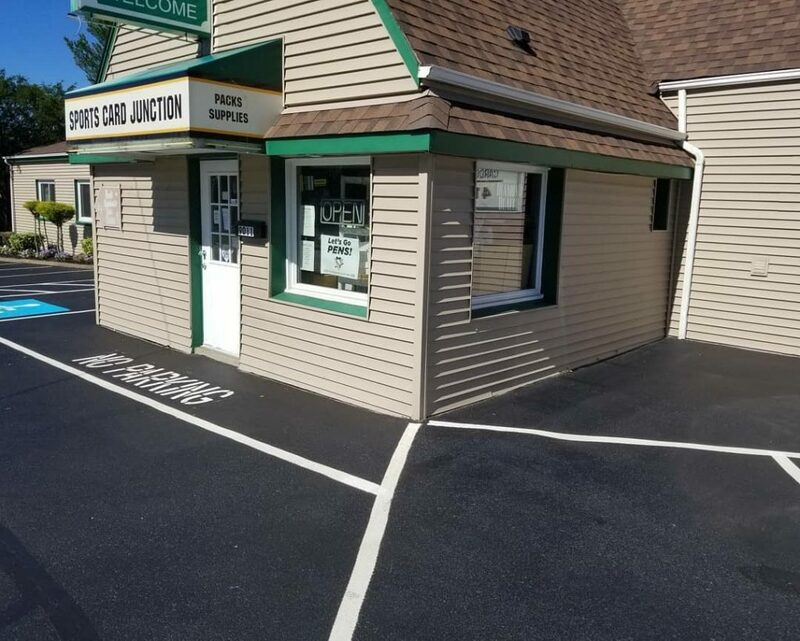 Chuck Weldon opened Sports Card Junction back in 1995. 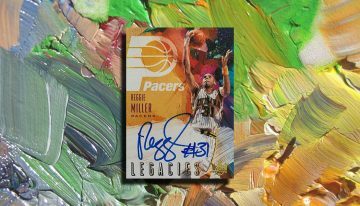 His son, Chad, also started collecting sports cards at a very young age, essentially growing up in the industry. 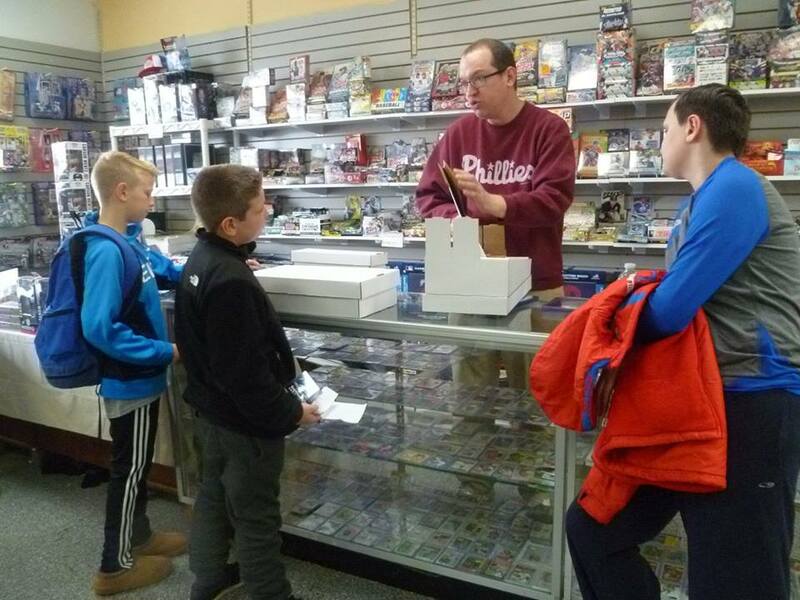 Sports Card Junction is still open in Pittsburgh, PA and Chad has grown up to now work along side of Chuck, who still owns the store some 23 years later. Chad gave us a few minutes of his time to tell us about the Hobby in his area. 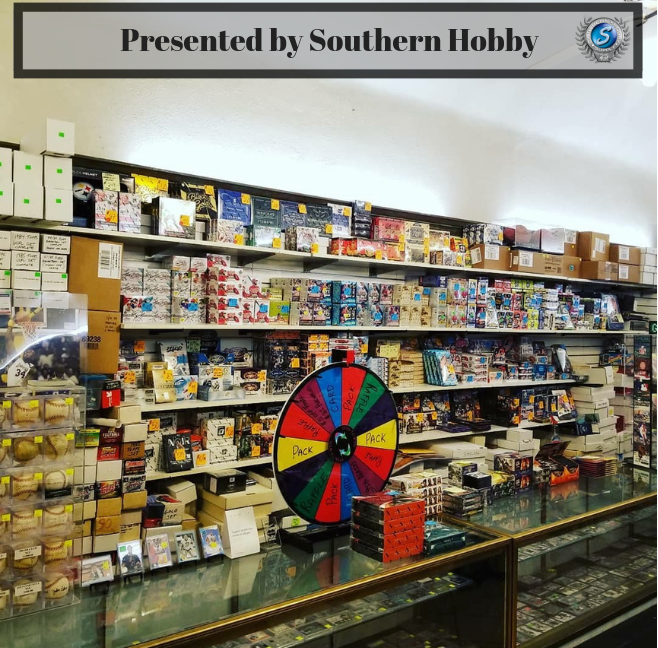 Local Card Shop of the Week is brought to you by Southern Hobby, who has been serving the collecting community for nearly 30 years. JS – Thanks for taking the time to speak with me Chad. I understand your father opened Sports Card Junction in 1995. 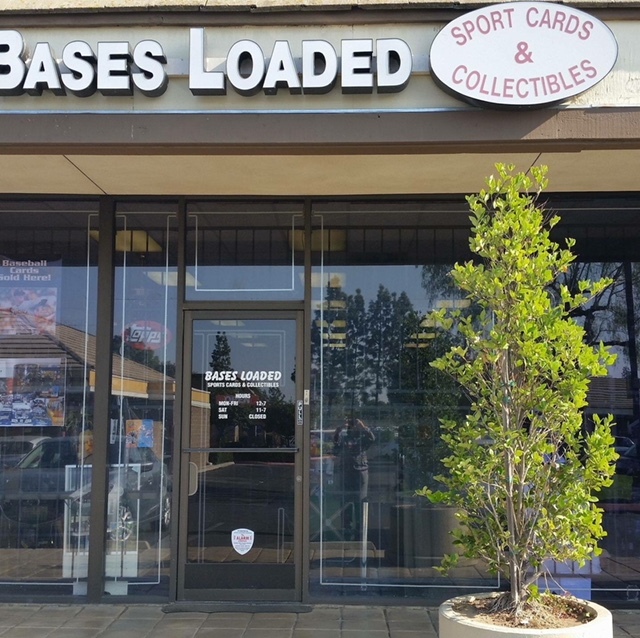 Can you tell us about growing up in the shop and when you decided that you would continue the family’s legacy in the sports card business? 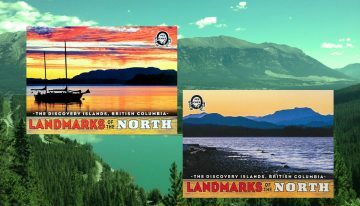 CW – Thank you for contacting us and letting us share our humble shop’s story! My parents opened up the shop when I was very young (around 2 ½) and I spent a lot of time in the store ever since then. When I was in my school days, I would make it a mission to get dropped off at the shop right when I got home from school. Our original location was in a mall (Northway Mall in the North Hills of Pittsburgh) so that was always a fun place to go to. I would spend my time there sorting cards, building storage boxes, pricing various supplies, etc. These were the days when I started building up my card knowledge. I remember looking through Beckett and memorizing the prices of key vintage cards and paying attention to the cards on the hot list and checking to see if we had any of them. I would say that I knew I wanted to take over the shop before I was 10. We started to set up at shows around that time and I would have my own setup, as well as manage the stores inventory while we were there. I took my big plunge into the business when I graduated high school and started managing our social media, eBay store, and working more retail hours. JS – A lot of card shops that opened in the 90’s have not survived over the last 20 years. Your father, and now you, certainly had to innovate and adapt with the Hobby through some pretty serious highs and lows. Can you tell us a little about the highs and lows of a shop owner? CW – Like most shops that opened in the mid 90’s, we had a lot of early success. I can remember the absolute craziness of the home run race between Mark McGwire and Sammy Sosa. Even though I was only 6 or 7, I have vivid memories of how busy our shop was during that race. That continued into the mid 2000’s when the Steelers started their run of winning seasons under Ben Roethlisberger and the Penguins drafting of Sidney Crosby. Our shop moved locations right before the 2005 Super Bowl run of the Steelers. That was a huge hit to the store and if we had stayed in the mall just a few months longer we would have seen tremendous sales. 2005-2008 were pretty rough years for the store. Leaving the mall, we lost over 75% of our customers. They simply did not find the new store and sales dropped off drastically. We moved stores again in 2008 to our current location. Over the past 10 years we have basically had to rebuild an entire customer base (we still get people coming in weekly who ask if we were the store from the mall). Social media has been a blessing to our business. I took that over right out of high school and have consistently built that base up over the years, attracting new customers and locating old ones who lost their way to us. JS – What are some of the key differences you see in collecting today vs. when the shop opened back in 1995? CW – Like most stores in the 90’s, our main sales were primarily single player and team card collectors. We had a very large inventory of cards sorted by player, team, and year, of which collectors would come in and fill their collection needs. Rarely now do I have someone coming in looking to fill out a set or particular card. We will get a lot of kids coming in who are looking for a Sidney Crosby or Mike Trout card, which we have available for them. 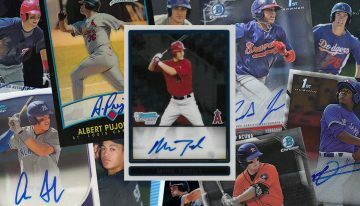 Our main business now is sealed product and single cards that have some sort of special attribute (short print rookie, auto, game used, graded etc.). We are in the middle of rebranding the shop and will start to have a more organized area for set builders again but it will be mostly vintage sets (1980 and older). 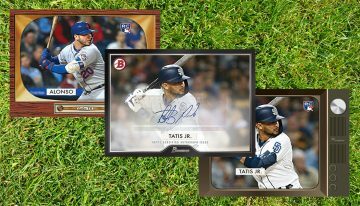 JS – Can you tell us about the “Topps of the Class” promotion that is advertised on your Facebook page? Are there any other in store promotions you want to share? 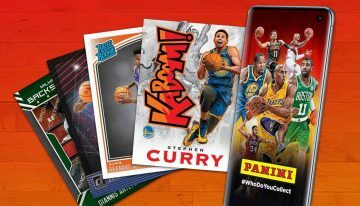 CW – Topps of the Class is our way of giving back to the community. At the end of every grading period you can come into the shop, show us your report card and then be rewarded for your hard work. 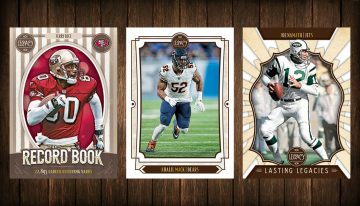 We will be giving away packs, single cards, and supplies to help younger collectors keep their cards in good shape. It is a great motivator for kids, and with the amount of kids coming into the shop these days, we expect to give away a lot of great stuff. 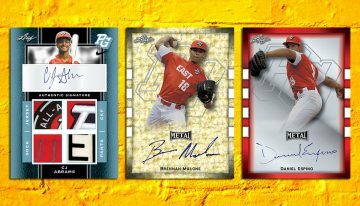 We just finished up with National Baseball Card Day and that was a huge success. 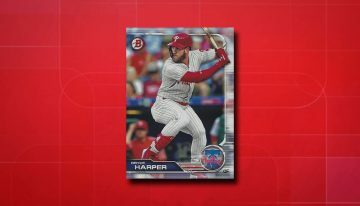 Topps has been doing great things for the Hobby and we have been happy to partner with them. 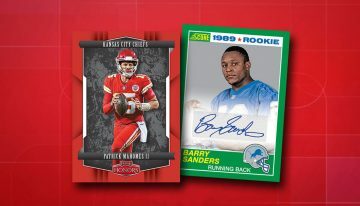 We partake in the Panini and Upper Deck promotions as well and make sure to educate our customers on each of those. The big promotion I am eager for, mentioned in my previous answer is our little rebranding project. After over 2 decades of being open, like most shops, we have accrued tons of items that are no longer desirable and our fixtures and various displays have seen better days. Within the next few months we will be re-launching the store, essentially. 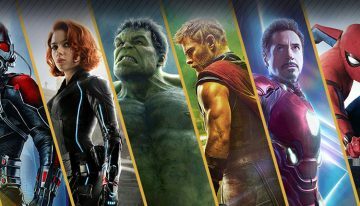 We will be having all new shelving installed, new display cases to show off all our cool cards, lighting, paint, everything. Our shop is rather small and is split between 2 rooms. The front room is going to become a lounge for customers to break boxes, sort through bargain boxes or just be a cool place for kids and adults to hang out and talk about the Hobby! 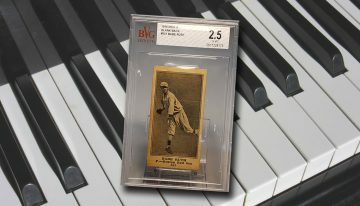 JS – National Baseball Card Day just passed. How did your shop participate in the Hobby-wide day of recognition? What were some of the events you held? 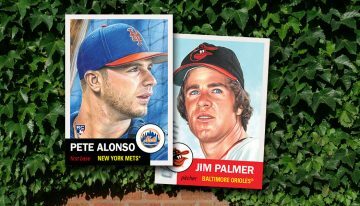 CW – National Baseball Card Day exceeded our expectations this year. 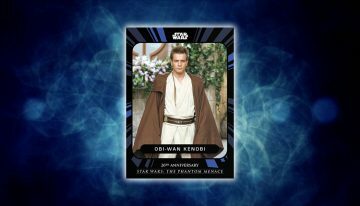 We ran the promotion the way Topps wanted us to. 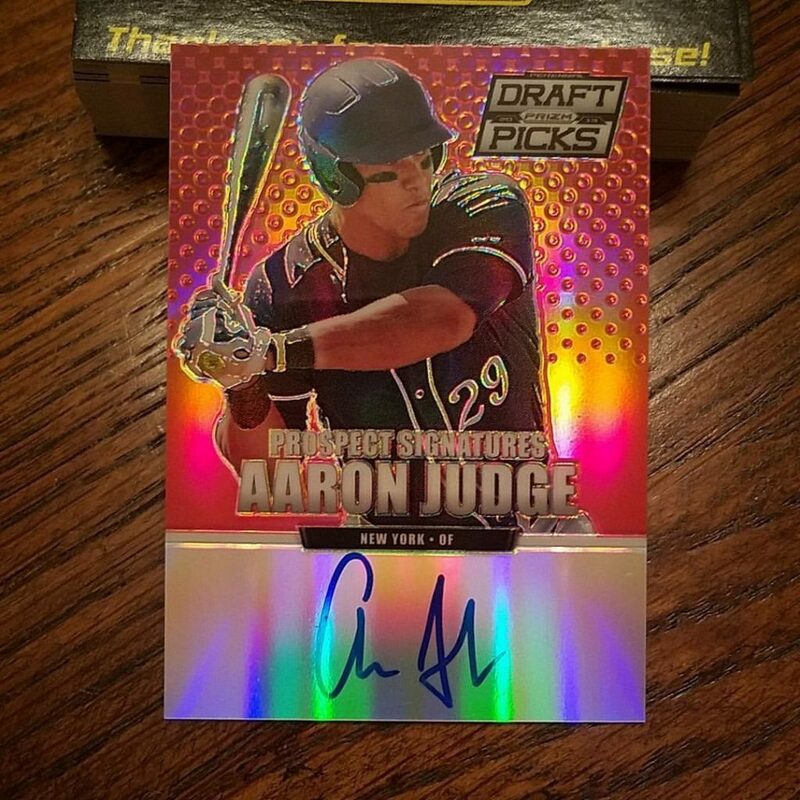 Come in the shop, receive a free pack of cards, spend $10+ on Topps product and get the exclusive Aaron Judge card. In addition to that, we ran our own giveaways. Every $50 spent earned you a raffle ticket. Those tickets went into a drawing for $500+ worth of blasters, hobby boxes, team sets, memorabilia etc. As mentioned before, our shop is pretty small in size (< 1000 SqFt) and at one point I think we had 25 individual people in there ripping packs, talking the hobby, and having a blast. We supplied customers with coffee and cookies in the morning and held an afternoon pizza party for those in attendance at that time. JS – Pennsylvania has all of the major sports teams in the “Big 4” and you are right there in Pittsburgh. What would you say your customer base is made up of when it comes to favorite sports and teams? CW – As you can imagine, the Steelers & Penguins rule the city. Although the Steelers are a much more popular team worldwide, our top seller has to be the Penguins. 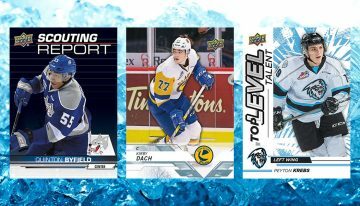 We sell more single cards of Penguins players than any other category. 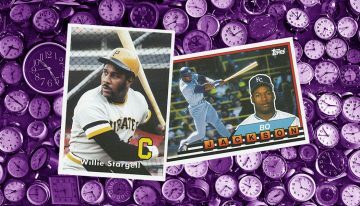 The Steelers are 2nd and as unfortunate as it sounds, we do not get many requests for Pirates cards. 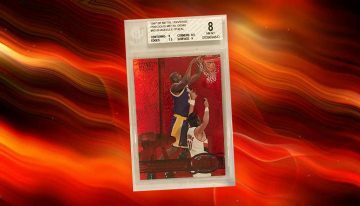 Since Pittsburgh does not have a basketball team, we mainly sell cards of the big stars league wide. Cleveland is a little more than 2 hours away, and Philadelphia is about 5 hours. Until Pittsburgh gets a professional team I don’t think our Basketball sales will break any records. 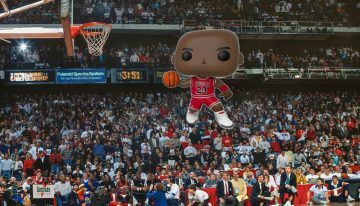 JS – How would you rank the top 5 collected athletes for your store over the last 30 years? CW – There are a few players that are generational type favorites for Pittsburgh. Roberto Clemente has and always will be one of the most influential and popular athletes in Pittsburgh. Since we opened in 1995, I would say we have sold more Clemente cards than any other athlete. The next player would be Mario Lemieux, as he has been a fixture in the city for more than 30 years. The past 10 years has been an incredible ride being able to call Sidney Crosby a Penguin and we sell a large amount of Crosby cards during the hockey season. The last two to round out the top 5 are Antonio Brown and, even though he is gone, we sell a large amount of Marc-Andre Fleury still! Actually, this past year we sold more Fleury cards in his Vegas Golden Knights jersey than any other Penguin, aside from Crosby. JS – What has been the most popular product in the store in 2018? 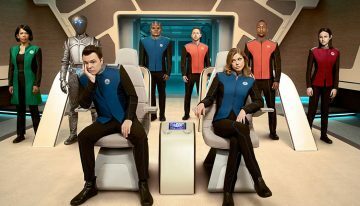 What product are you most looking forward to this year that hasn’t been released yet? 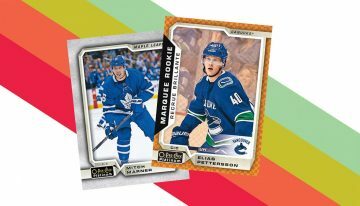 CW – Being a hockey town, we sold a lot of 2017-18 Upper Deck Series 1. That has been and always will be the peak of hockey card sales for us. 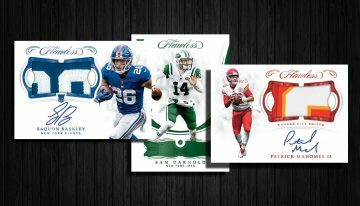 We are really looking forward to 2018 Panini Prizm Football and 2018 Bowman’s Best Baseball. Those two products have always been great sellers for us and our customers love ripping them. JS – Can you tell us about any memorabilia that has come through your shop over the years? CW – While memorabilia has always been a second thought for us, we still manage to buy quite a bit. With the shop’s size, we stay away from bulky framed pieces and stick to smaller items: primarily baseballs, in person signed cards, photos, helmets. Over the past few years, we have managed to buy a few dozen Roberto Clemente autographs, including a couple single-signed baseballs within the past year. One of the cooler items I have been able to purchase as a walk-in was a ribbon worn at Honus Wagner Day in New York. There were only 13 made (I believe) and we ended up sending it to auction. If I remember correctly it realized around $3000. JS – What have been some of the bigger hits for your customers over the years? Any big successes you’d like to share? 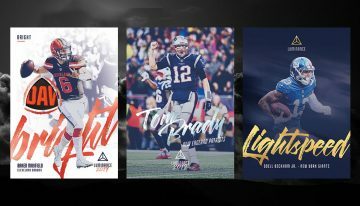 CW – There have been a lot of bigger hits ($500-$2500 cards). Most of the bigger dollar amount cards came out of Bowman Draft and the prices were not realized until years later. We had a Rafael Devers 2015 Chrome Red Autograph /5 hit a few years back that is a pretty big card now, as well as a Gleyber Torres Red from the same product. This past year there have been a lot of Brock Boeser Autographs. 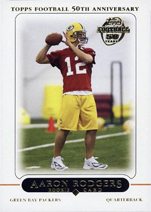 One of the best cards ever hit though was back in 2006/07 and it was out of Upper Deck Black. It was a dual autograph patch of Michael Jordan and LeBron James. Back then, it was a couple thousand dollar card, now probably more like 12-15 thousand. JS – What have been some of the biggest changes you’ve seen from a product perspective since you started collecting? What are some things you have seen over time that you never thought we would have in the Hobby? 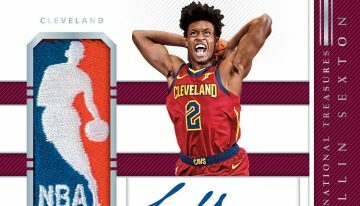 CW – The biggest changes were going from box hits being serial numbered inserts (I love those old school 90’s inserts like PMGs myself) to the current patches and autos. 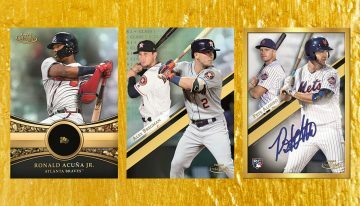 I personally think all the different DNA type cards, war medallions and the oddball Allen & Ginter relics would have been pretty hard to predict 20 years ago. JS – What is your opinion of the License Exclusivity that we see in the Hobby today? What seems to be the pulse of your collector base in regards to that particular part of the industry? 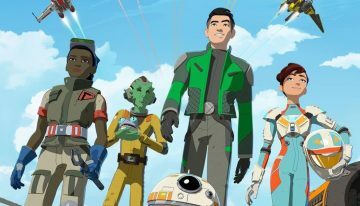 CW – I personally hate that there are exclusive deals in this industry. How does that breed competition? It is in my belief that the products would be better if they had to go against another company within the same sport. 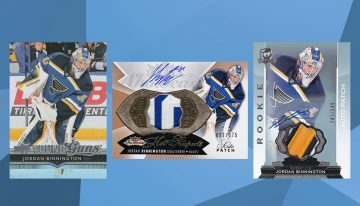 There is no need for one company to produce 30+ products in any one single sports (kudos to Upper Deck for producing less than 20 products within the hockey release year). Most of my customers agree with me. We all want less products that have better value in them. Promote competition to make the BEST product, instead of making the most product. JS – As it relates to that License Exclusivity, what are some of the products that have disappeared that you would like to see make a return? 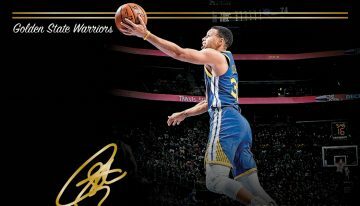 CW – My dream is to have Upper Deck Exquisite Basketball and Topps Chrome Football again. 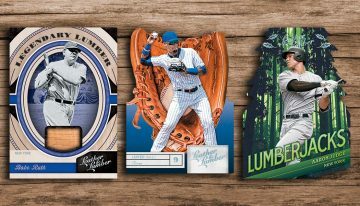 I also would love to see some of the products Panini is putting out for baseball have the team logos as a lot of the product they make is nice, but without the Licensing it will not be the best it can be. JS – What do you think is going really well within the Hobby right now? The industry now has to cater to brick and mortar, online, breakers, and other aspects of the hobby. 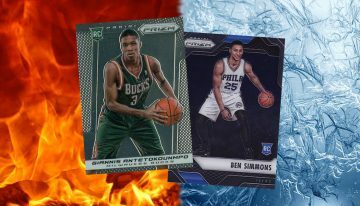 What are the card companies really doing well at the moment? 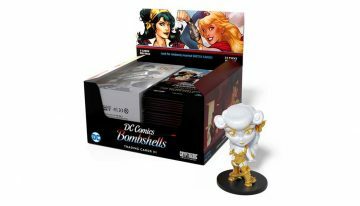 CW – I think the companies are all doing a good job of bringing new collectors into the hobby. The various promotions like National Baseball Card & Hockey Card days drive people into the shops, the same as Panini’s POD promotions. 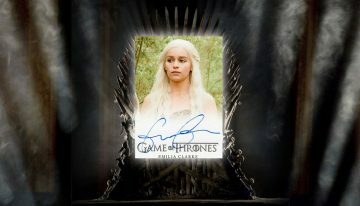 While breakers take money and allocations away from hobby shops, they are also introducing new collectors into the Hobby. I have many customers who started off just buying into breaks and became intrigued to find an LCS near them. Now they come to me to buy supplies, trade me cards and buy boxes for personal breaks. JS – On the contrary, what are some of the things you hear most from your customers that they would like to see done differently? 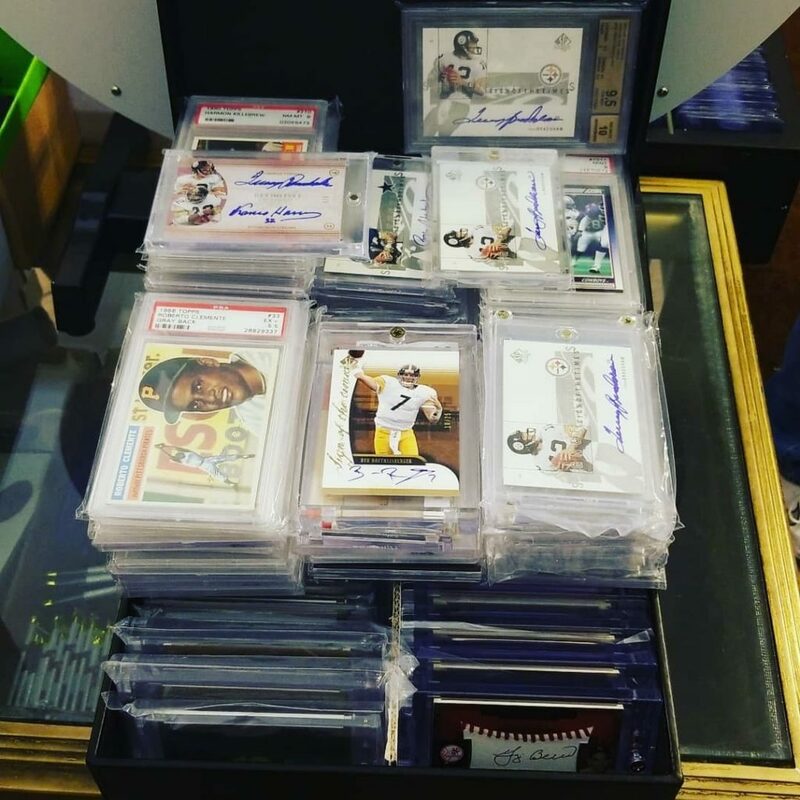 What are some of the biggest headaches for collectors in your opinion? 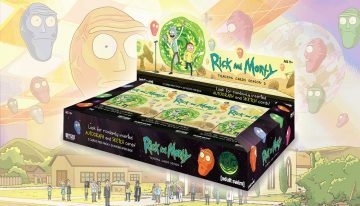 CW – The biggest complaint I get still is that there are too many products, the quality control is poor, and people still dread getting redemption cards (those have been cut down in my opinion though). JS – In closing, and with your 20+ years in and around the hobby; If you could give one piece of advice to a current or potential shop owner, what would it be? CW – I actually get this question a lot through my social media platforms. People always ask me what they need to do to get started or to improve their current shop. You need to get social media going and try to post on a regular schedule. I would also suggest they sell as much as they can online to keep money constantly running through the shop. While we are only open 5 days a week, we are there every single day packing up online orders. 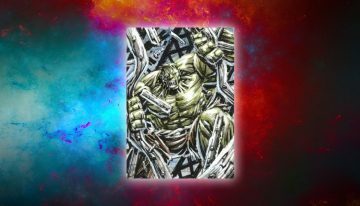 Being able to sleep at night and wake up to cards that have been sold is a great thing. Also start setting up at large shows. Not just little one day mall shows in your area. We personally set up at shows in Chicago, New York, Boston, Chantilly, St. Louis, and Philadelphia. Something else enough shops can’t seem to grasp is you need to work together with other shop owners. Some of the old school guys are so worried about giving away their secrets and refuse to deal with other shop owners. Some of my best friends are other shop owners and we are constantly trading ideas and products. The best way to grow this industry is as a whole and that only happens when people are willing to work together for the common goal. Well done Chad…. As a fellow shop owner I agree alot with what you said in the article. Best of luck with your rebranding.